The good news is the Alps haven't disappeared and if it's clear enough you can still see them from this part of Jura Höhenweg. I could just see the sun reflecting of the snow today but not clear enough to actually see the mountains. Escaped from Balsthal at about 9.30 having struggled as I usually do in a town of any size to find the route out. 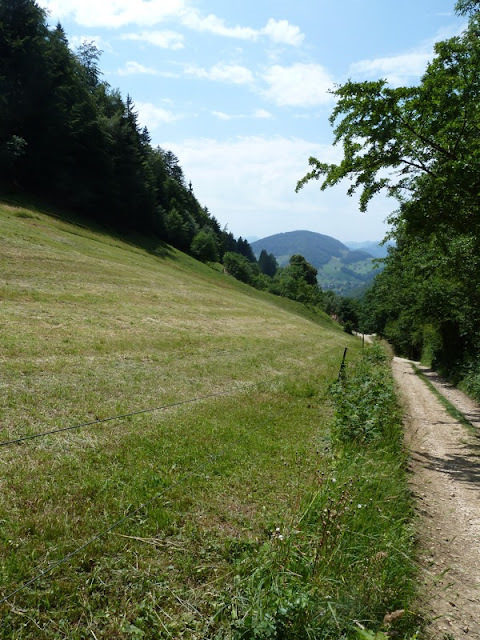 I think I have mentioned it but the Jura Howenweg is broken down into stages with the end of each stage linked to a public transport access point, usually a train or bus stop. I worked out today that what you need to do is head for the train station where there will be signs for the footpaths. This involves thinking as if your a Swiss person and expecting things to be organised instead of thinking as an English person and wandering around aimlessly on the assumption that they are not. Well the Jura Howenweg has not fizzled out and the start of the day involved a 550 metre climb up to top of the Roggenflue, which is just less than a 1,000 metres high. The man spreading liquid cow manure on his field kindly stopped as I walked past although it wouldn't have made my shoes smell any worse. 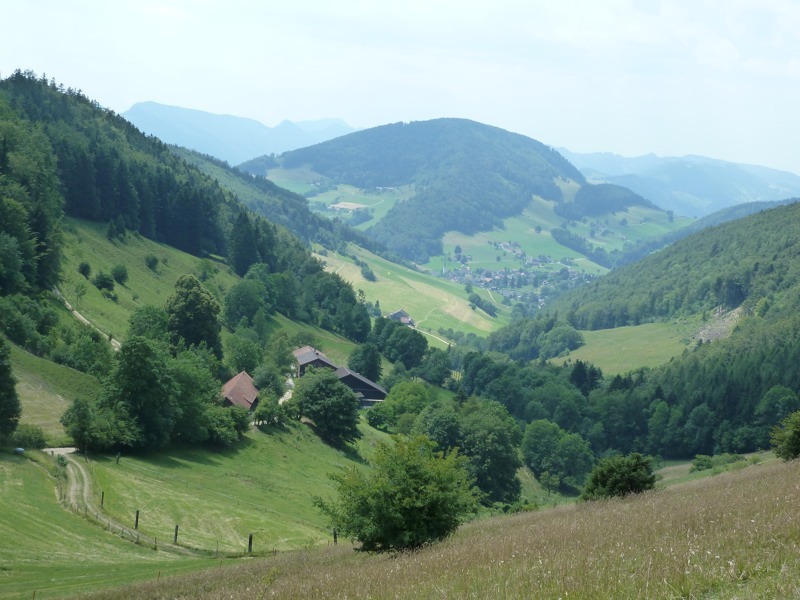 There was an information board on top of Roggenflue describing what I would have been able to see if there wasn't so much heat haze and on a good day this would have included views all the way back along the Höhenweg to Mont Dole above Sant Cergue. 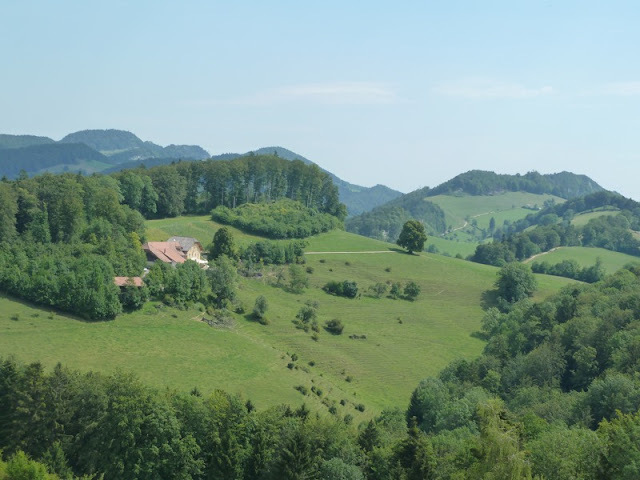 Although the Jura Höhenweg hasn't fizzled out, my ability to say anything new about what remains very nice countryside but basically the same very nice countryside, probably has. 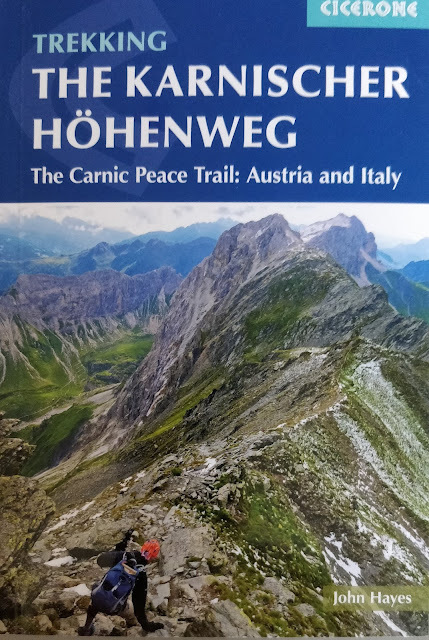 I have now been walking through Jura Howenweg for eight days, will probably miss it when it's gone but I'm getting ready for something else. As it was, on a hot and sticky day, I've devoured another 20 kilometres despite a 1,000 metres of climb. By the way fortifications re-emerged again today, lines of obstacles to stop tanks, some fairly new looking. Just before arriving at Hauenstein a whole hill had been fortified in 1915 and I think it's still used in some way. 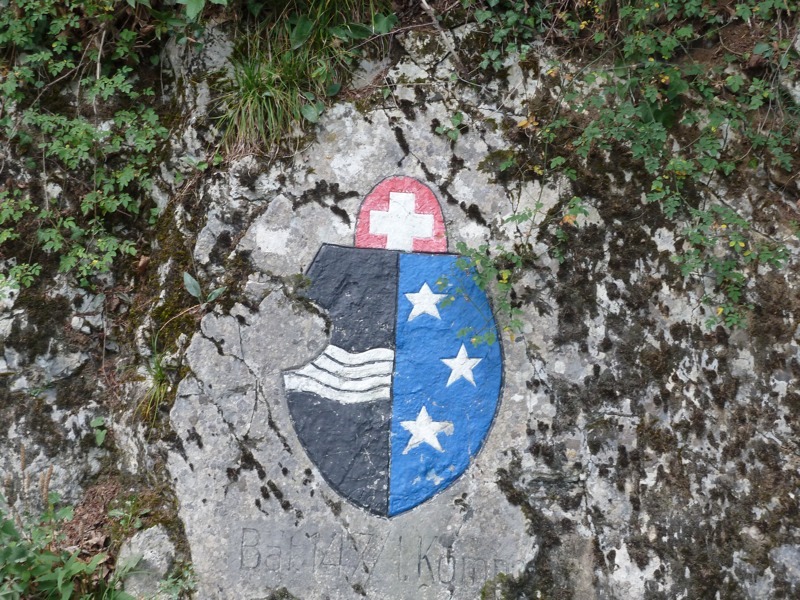 All along the side of the hill insignia of the army regiments who served there had been carved into the rock. Staying at a Gasthof in Hauenstein which is very pleasant. They have brilliant wifi but the landlady doesn't know the password, which is a bit frustrating. If this gets published then I must have found it. John you not only have to find wifi, you also have to find a dozen pair of socks to throw away the old one. Juan - I bought some new socks in Grenoble and I think the socks may be the problem. They are dodgy French socks and I think they are making my feet smell. New British socks and shoes coming next week, just hope I don't get arrested by the anti-smell police first.